Josie and Warrick hit it off at Basil, where she was bartending, and quickly became inseparable. Ready to propose eight years later, Warrick, a budding musician, enlisted his college roommate, country singer Lee Brice, to help cook up the perfect plan. At 2017’s Carolina Country Music Fest, Warrick joined Lee in singing “She Ain’t Right” and proposed to Josie on stage. 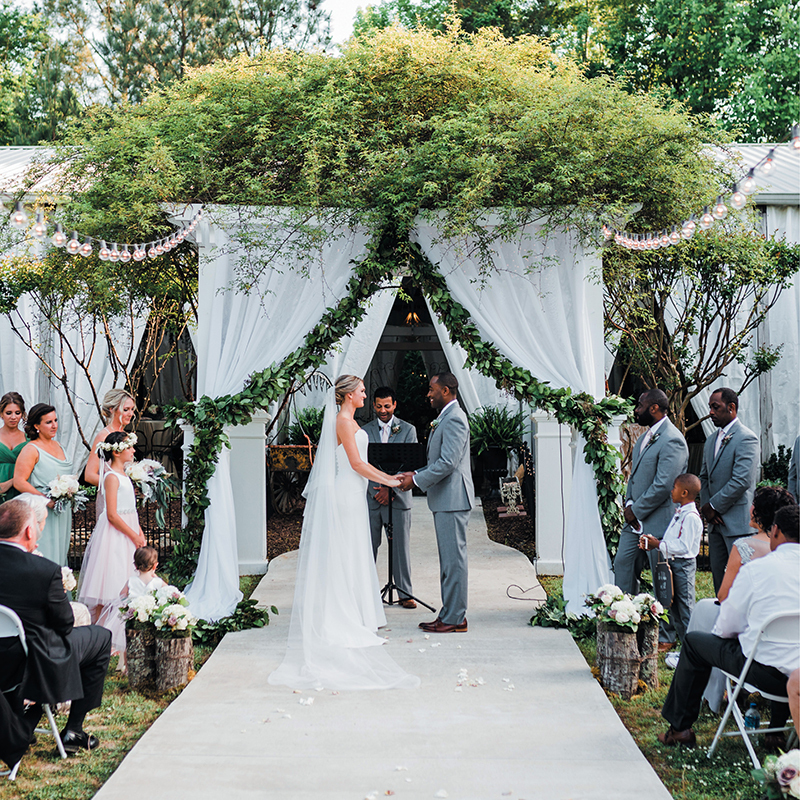 Josie’s response—“I will absolutely marry you!”—soon became the inspiration for Warrick’s debut country single, “Miss Absolutely.” In May, the couple was married in an outdoor ceremony at The Garden Café in York, South Carolina.